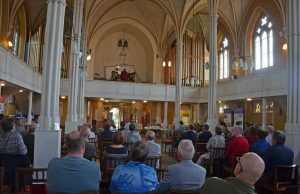 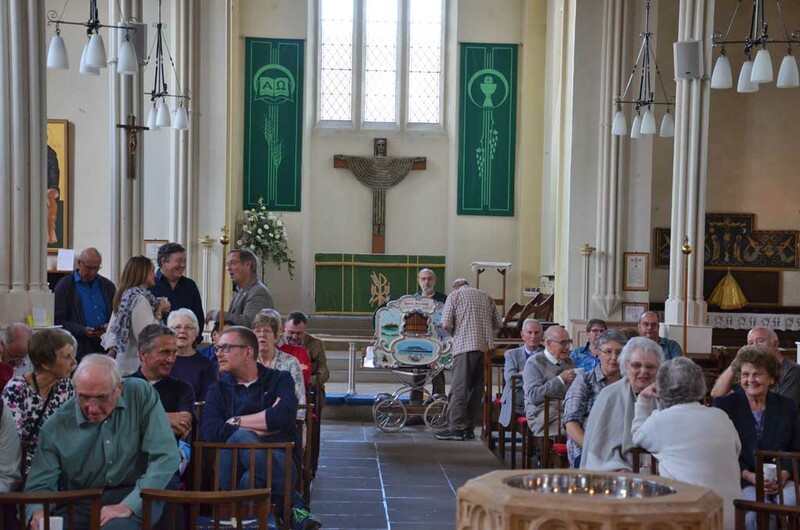 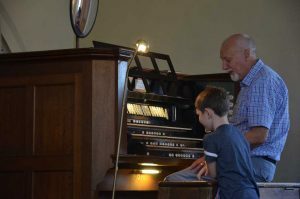 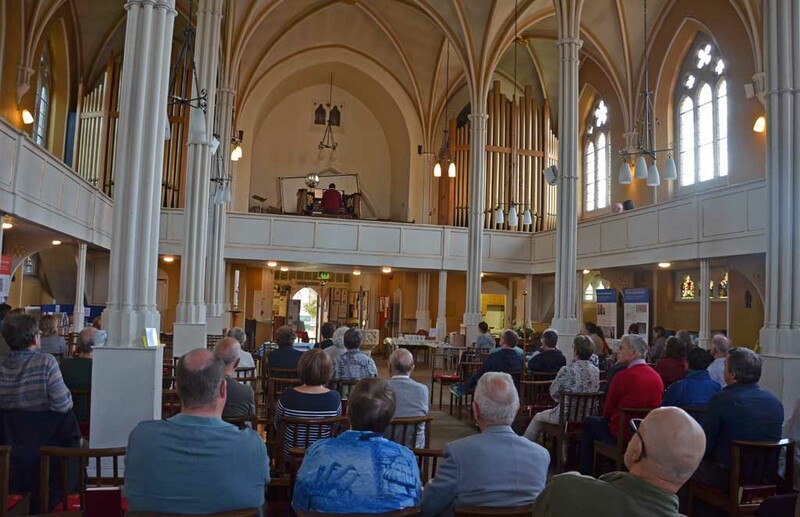 Our final day of the Willis pipe organ festival offered several different strands - the chance to play the Willis organ, the Projected Picture Trust exhibition next door in the Parish Hall, Jonathan's Get to know the Willis' organ talk at the console and the popular Audience Requests recital, which we tried in 2017 for the first time and was definitely worth doing again. We had lunch available in the church (soup, bread, cheese, biscuits, cakes) while visitors played the organ and chatted with Dave and Jonathan at the console. 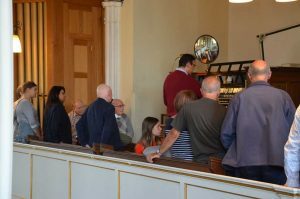 At 3pm several people arrived for the Get to know the Willis organ talk in which Jonathan explained how it works and demonstrated different sounds. 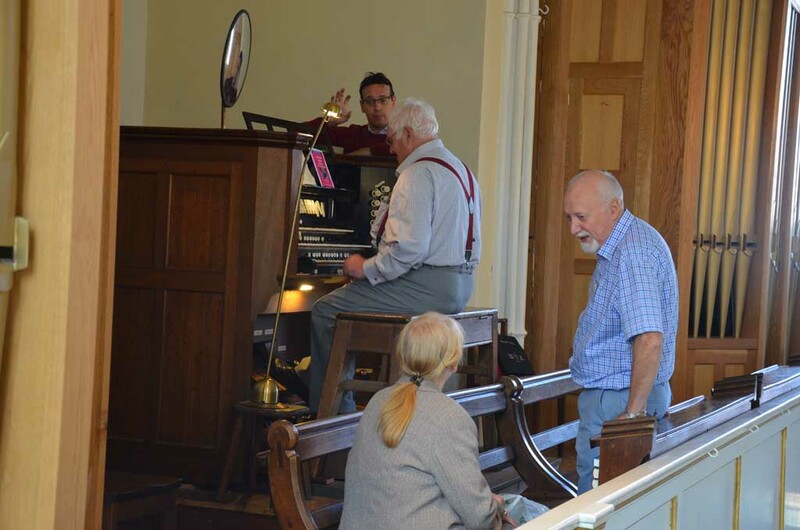 The little street organ played outside the Parish Hall for a while, then after the Projected Picture Trust had packed away, it came into the church to play for a little while before the Audience Requests Recital. 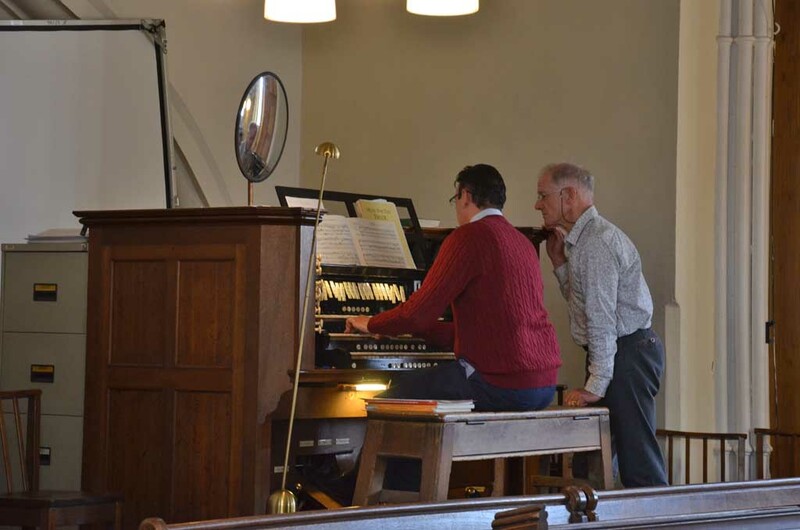 To extend our Festival links with the Heritage Open Days theme of Extraordinary Women, the first piece which Jonathan played in the recital was by an female composer. 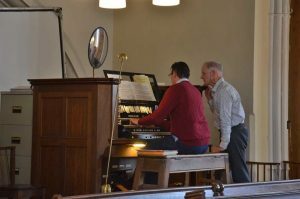 Her brother Felix Mendelssohn knew Fanny Mendelssohn Hensall was a great composer in her own right. 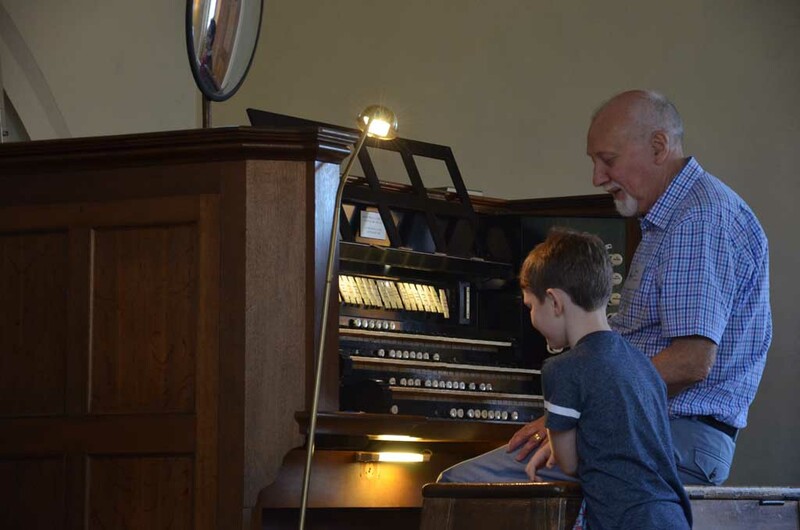 This gave the audience a wide variety of sounds, melodies and moods on the organ which was a perfect way to round off a superb three days of the 2018 organ festival. 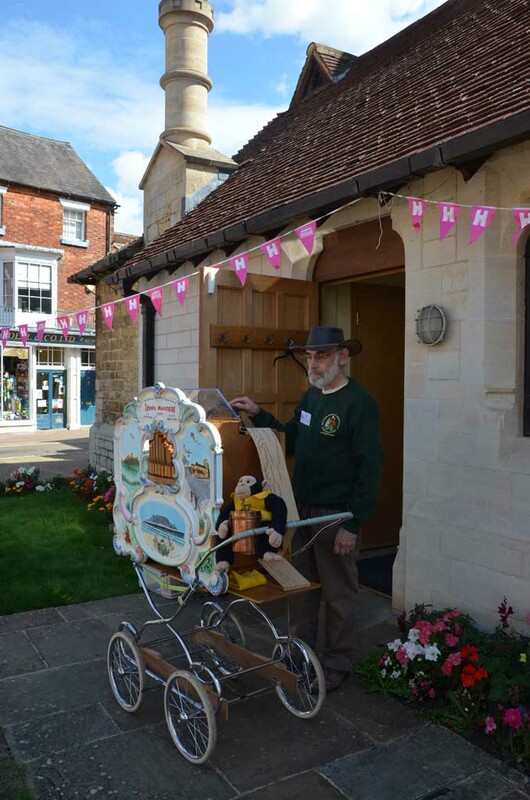 Thank you to Jonathan and all the volunteers for making this such an enjoyable day for everyone who visited.